Visitors are most welcome to Kildonan Church and we hope that you will sign the visitors book when you are here. For directions, please see below. The church is kept open from Easter to October and you can simply turn up and let yourself in. Over the winter months it is locked but we would be happy to open it for you; for access please get in touch with Steven our Keeper on 07468 576418. In 2009 the Clan Gunn Heritage Trust and the Helmsdale Heritage and Arts Society joined forces to form the ‘Friends of Kildonan Church’ society, which aims to safeguard the future of the church as a place of worship and commemoration of the people of the Strath of Kildonan. The Friends also organise an annual service, lectures and other events such as concerts and poetry readings to which everyone is welcome. Membership of the Friends is open to all and life membership is currently £5. For more information about becoming a member, please contact Timespan. For details of services and events taking place in Kildonan Church, please click here. It is also possible to hold weddings, blessings, christenings and funerals at the church, and the nearby Kildonan Hall is available for hire if you want to have a reception. For more information, please email lettings@suisgill.co.uk. By Car: From Helmsdale, take a right at the Bridge Hotel and follow the A897 towards Kinbrace. This will turn into a single track road with passing places. Follow this road for approximately 8 miles and you will see a white farmhouse on your left with a sign saying Kildonan Farm. Take a left here and follow the track over the small bridge and past the house. You will then see another track to the left, with the church at the bottom. A small amount of parking is available next to the church. From Thurso, head west on the A836, passing through Reay and continuing for another 4-5 miles before taking the next left onto the A897. 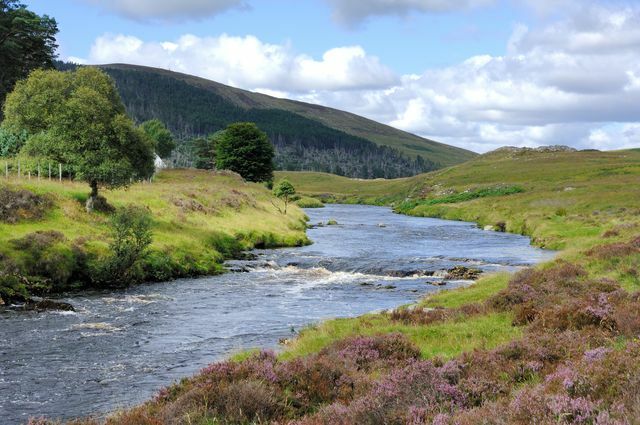 Follow that road for approximately 28 miles, continuing past the Glen Loth turn at Kildonan, and just after the site of Baile an Or you will see a white farmhouse on your right with a sign saying Kildonan Farm. Take a right here and follow the track over the small bridge and past the house. You will then see another track to the left, with the church at the bottom. A small amount of parking is available next to the church. By Train: There is a railway station at Kildonan, which is about half a mile’s walk from Kildonan Church – just follow the river downstream from the bridge and you will see the church on your left. Kildonan Station is a request stop and there are three trains a day. For more information about train times, try the Trainline website.